"The training camp roommates are cooking some white rice, with fresh raw cow's milk on the side, and a dish of potato stew, all in a tiny space....Just outside in the quad between athlete's rooms, a woman uses a rope and a bucket to pull water up from a well. Kids linger curiously, staring at us and laughing at their images on the video camera. 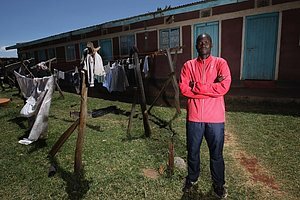 The training camp is a very different world than the glitz, glamour, and big dollars of the Virgin London Marathon..."
- Employee #1 describing Abel Kirui's training camp in Iten, Kenya. 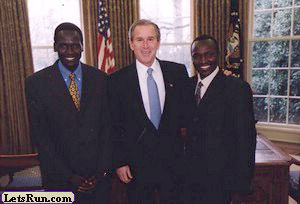 Kirui, the double world champion, claims to have got his speed from his great grandfather who hunted antelope on foot. Learn about him or Mary Keitany as the Eight Days of Glory is now down to one- Sunday's Virgin London Marathon. Live 1pm Eastern Today: LetsRun.com London Preview Show Keep coming back today for more London pre-race coverage. Ryan Hall colors his hair?????? The two time World Champion has dominated non-rabbited races. Can he do the same in London on Sunday? Learn about his training, his set-up in Iten, as he talks about phantom planets and more from Employee #1s trip to Kenya. LRC Meet Mary Keitany The half-marathon world record holder destroyed the best women's field in the world last year in London. Then on the hilly New York course she went out faster than Paula Radcliffe during her world record before falling apart miserably. 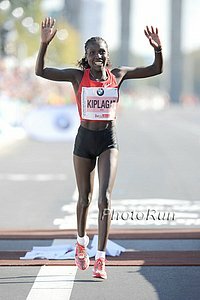 Now she has to qualify for the Olympics in London and faces NYC and World Champ Edna Kiplagat, 2:19 runners Lucy Kabuu, and Florence Kiplagat, plus Priscah Jeptoo and former World #1 Irina Mikitenko. 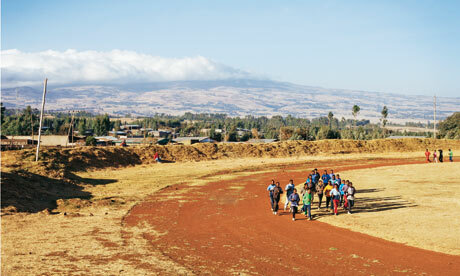 Not to mention the proming Ethiopian Ejegayehu Dibaba. 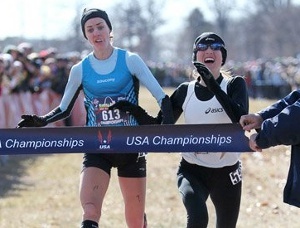 Without question the top women's marathon in the world. Get to know Mary Keitany. 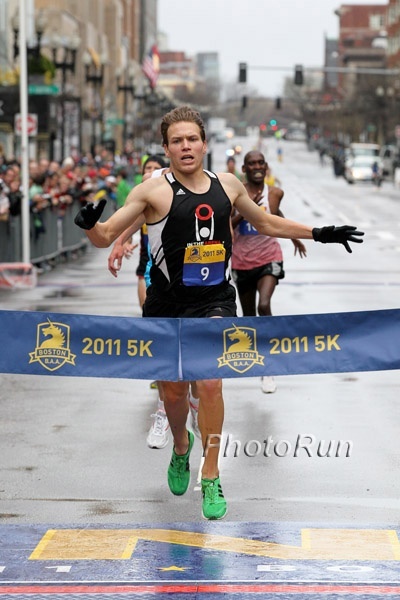 Worth a Read: The Cool Story of How Scott Overall Made the British Olympic Marathon Team A year ago he was selling shoes about to quit the sport. 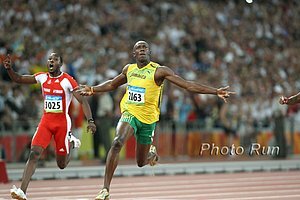 Now he's an Olympic marathoner. *Mary Keitany: "I don’t fear the marathon,"
Mt. 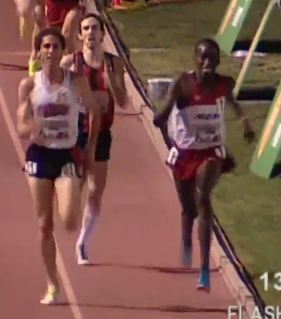 Sac: LRC Cam Levins 13:18.37 Outkicks Lawi Lalang The Southern Utah legend, Levins, known for his 160 miles week, used a 55 second last lap to become the first collegian to defeat Lalang at a distance over 1500m this year. 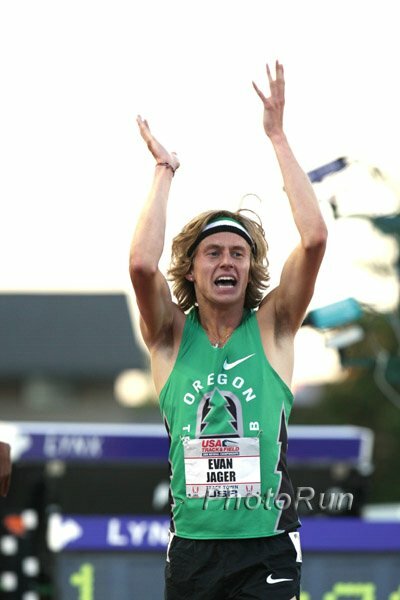 Former NCAA Champ and LRC Puma Faas Challenge Winner David McNeill also got an Olympic "A" qualifier (sub 13:20) in 3rd. 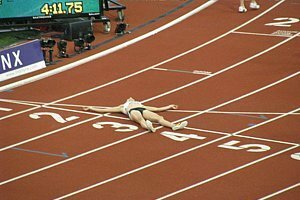 Molly Huddle won the 5000 at Mt. Sac as Abbey D'Agostino and Lucy Van Dalen were third and fourth in the 5000. Jenny Barringer did not run. Canada's Hilary Stellingwerff (4:31.04) and French drug cheat Jamal Aarrass (3:52.21 ahead of Taylor Milne and Nate Brannen) won the Puma Miles and $2500. Princeton: Cayla Hatton, HS Senior, 16:14 win against collegiates Steepler Donn Cabral also looked incredible in the 1,500 and had his way with NCAA 4th placer in the mile Sam McEntee..
ACCs: Virginia Tech Men Maintain Lead, Duke Women Grab First Place Clemson’s Alyssa Kulik impressed in the steeple (9:52.90). Quick Look at Mt Sac Friday Nice women's 5k with Molly Huddle, Jenny Simpson, Sheila Reid, Sara Hall, Julie Culley, and the Puma miles with $2500 for 1st.